Beautiful Bespoke Kitchens & Handmade Furniture. Finian Whelehan of Knockdrin Joinery, Mullingar, Co. Westmeath specialises in inframe painted Kitchens and all furniture needs made to measure. Ranging from wardrobes in your bedrooms through to study desks in your office and providing all your furniture requirements fitted and freestanding. The site is built on WordPress, and displays all their work, which is unique and personalised for each customer. 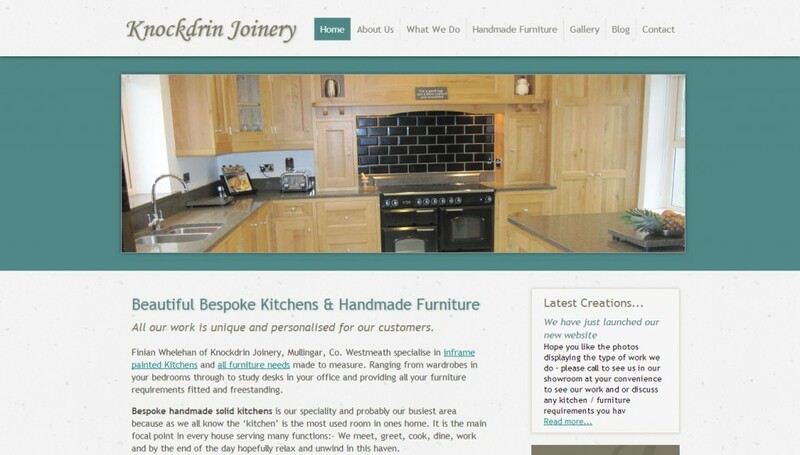 Visit www.knockdrinjoinery.ie to learn about an initial consultation on your future kitchen.